If you are a blogger interested in writing sponsored posts on anything family friendly on your blogs, then join Cyber Connect Bloggers Network, They have a group called “Earn $ While blogging” that you can join. Blogs are selected randomly every Mondays for new campaigns and you get paid once you submit your post. 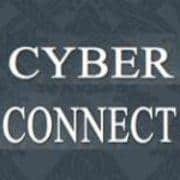 Increase your blog traffic and connect with bloggers all over the world at Cyber Connect Bloggers Network! Thanks for sharing this, I’ll be sure to check them out.